Have a question about the Trident I'd Rather Be Diving License Plate Frame? 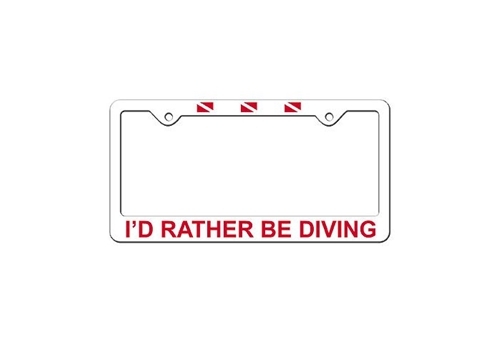 Plastic 'I'd Rather Be Diving' license plate frame with dive flags. Show the world that you have Scuba style with our one of a kind stickers, pins, scuba diving accessories and water sports gifts.